Custom frame measures approximately 36" x 36" in size and has been hand-signed in silver paint pen by Tom Brady. 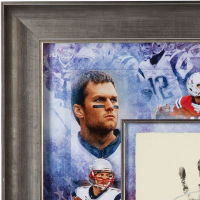 The frame has been hand-numbered limited edition #/25. 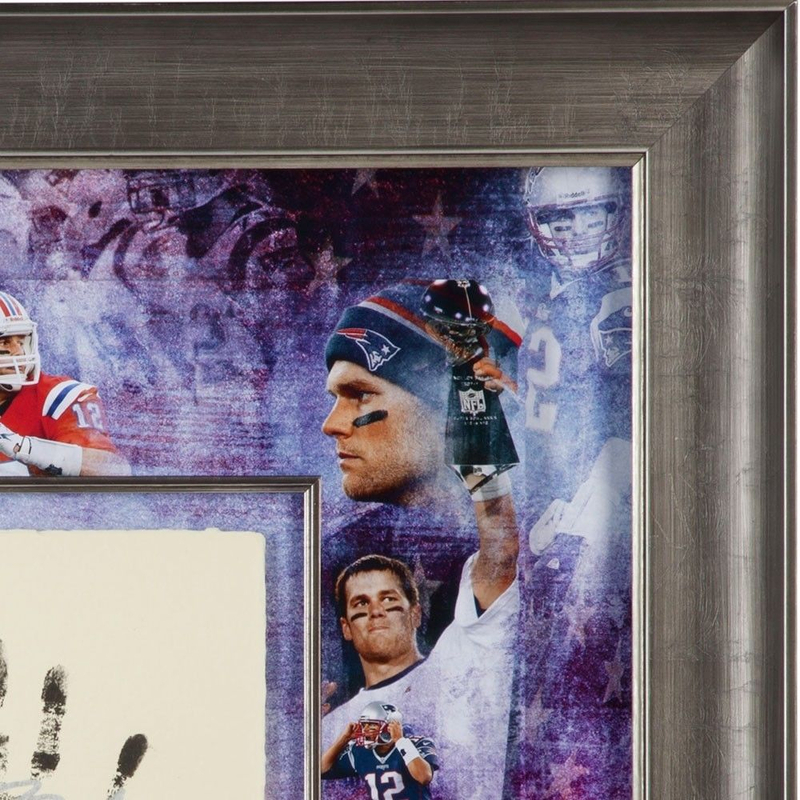 Please note, the images shown are stock images. The winning bidder will receive a random number from the same edition. In conjunction with Upper Deck Authenticated, Tom Brady is the latest in a short line of great athletes to be honored with a unique Tegata memorabilia piece. A Tegata is a traditional form of Japanese memorabilia that is reserved only for the most superior athletes. 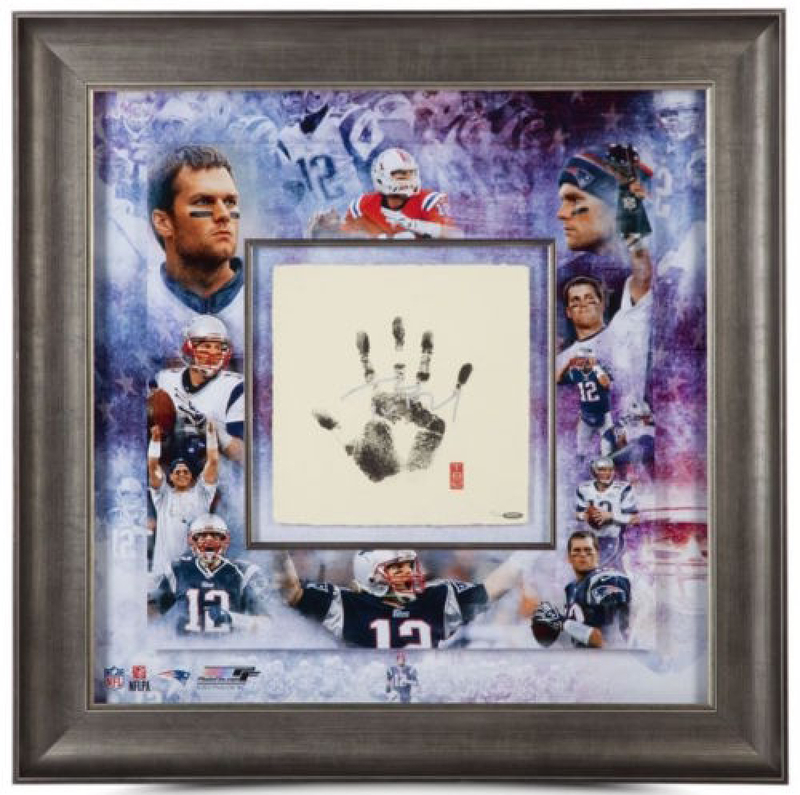 Utilizing handmade Japanese Hamada paper, Brady has inked his hand in black. 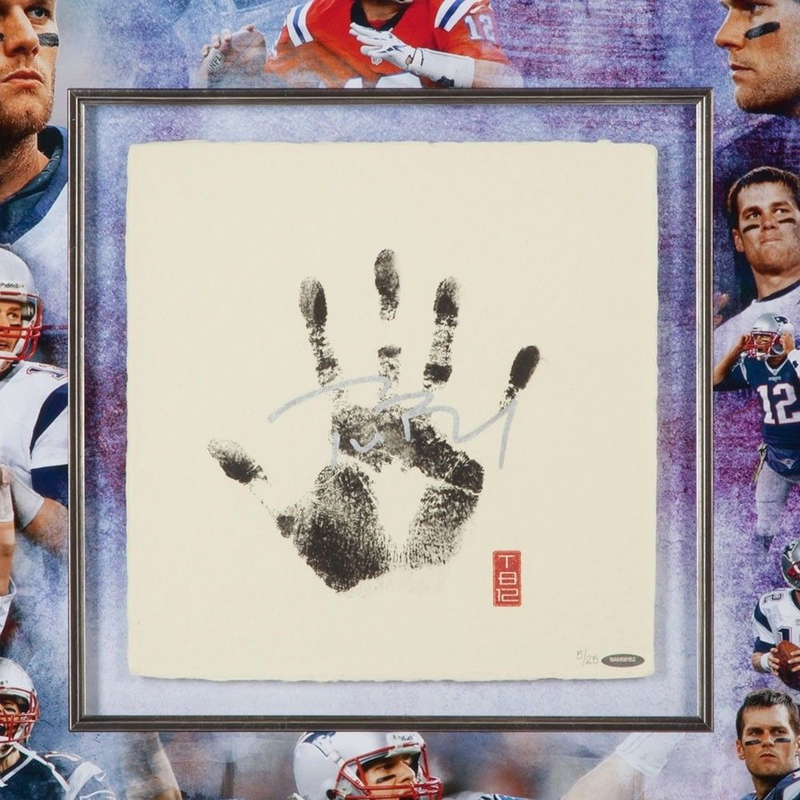 After the handprint dried, Brady went back and inked his signature in silver paint pen over the impression of his fingers along with the inscription "5x SB CHAMP" below his palm. 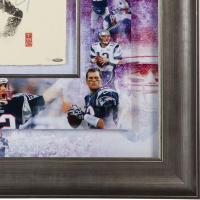 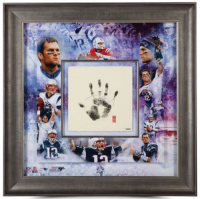 The overall keepsake, which measures 36" wide by 36" high, includes a 12" by 12" inset center upon which Bradys hand has been inked and is surrounded by a double-matted collage style background of New England Patriots images. 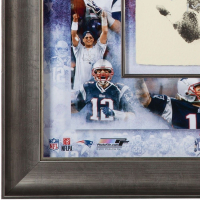 These images were carefully selected to showcase the five Super Bowls that Brady has won over his career. Brady performed the Tegata process under supervision of UDA officials days after Super Bowl LI. 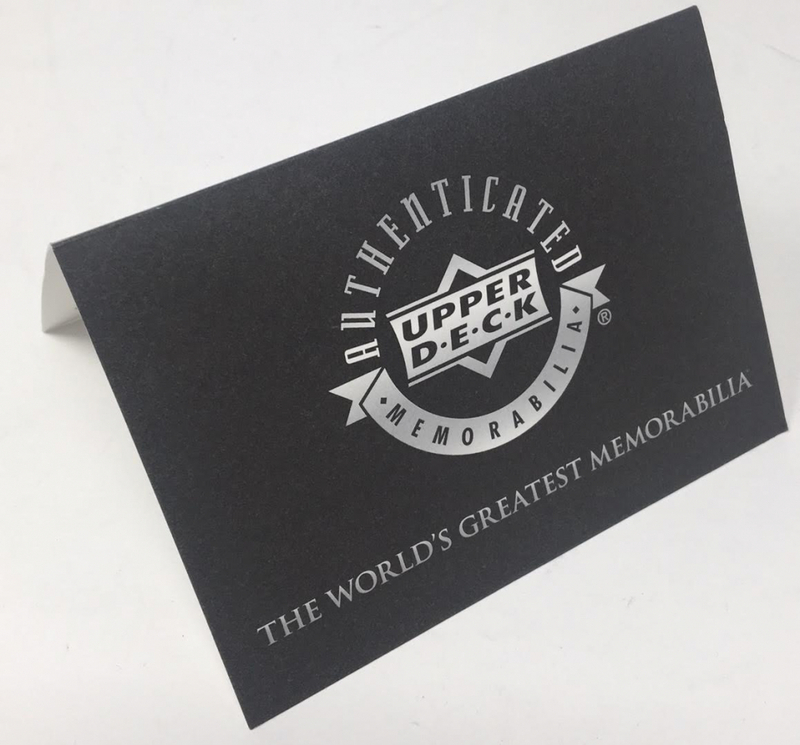 The limited-edition silver autographed and inscribed hand print is guaranteed authentic by virtue of Upper Deck Authenticated Five-Step Authentication Process.